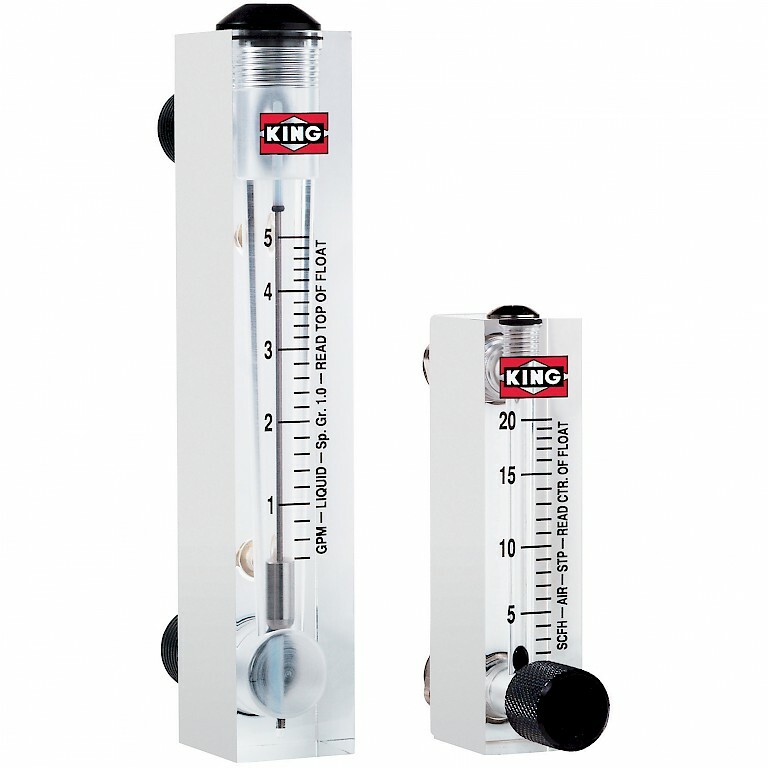 The King 7520 and 7530 series are an economical machined cast acrylic block rotameter with an optional flow control valve on the inlet. 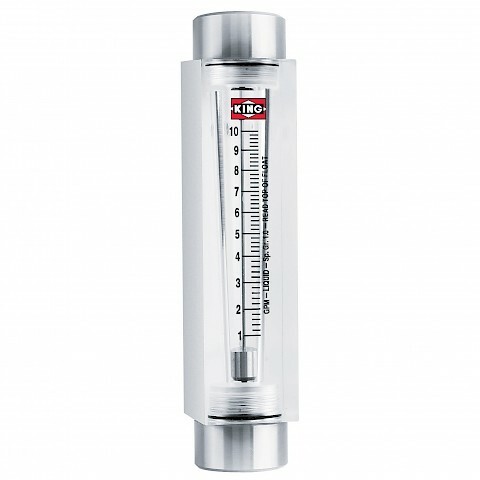 All internal components of the King rotameter are 316L stainless steel with a standing fitting material of PVC with 316L stainless steel and brass an option. Fittings are available in female NPT with some models offering a male NPT, all via a horizontal connection. EPR O-Rings are standard with an option of Buna N or Viton®. A flow control valve is available on the flow inlet of the flowmeter, the valve is available in brass or 316L stainless steel for any King flow meter in the 7530 series. 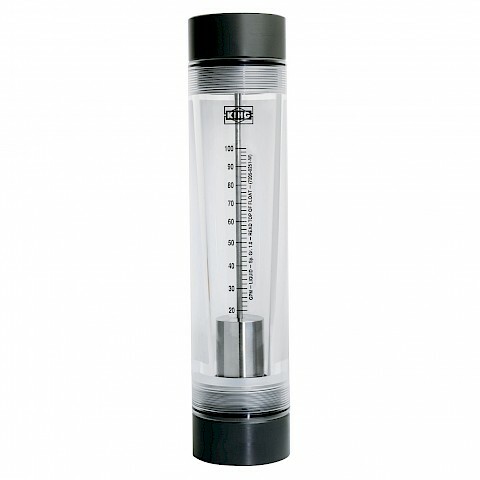 Flow scales are available in fives sizes with a choice of 50mm, 65mm, 100mm, 127mm and 250mm. All models have a 10:1 turndown ratio with accuracy varying from ± 2% to ± 6% of full scale flow dependant on flow scale size. Repeatability also varies by flow scale size, from 0.5% to 3%. Maximum temperatures are up to 54°C for liquid models and 38°C for gas models. Operating pressures available up to 8.6 bar. Liquid models are available with full scale flows from 0.45 litres per minute to 76 LPM. Gas models are available with full scale flows from 2.6 standard cubic feet per hour to 60 SCFM. Scales are available in any volumetric unit across the 7520 and 7530 series of flow meter by King Insruments.